In Europe we offer traineeships in Germany and The Netherlands. Better Places has started to offer tours on the German market since a few years. The tours are offered under the lable called Fairaway. A small team, consisting of two persons, operates from Berlin. 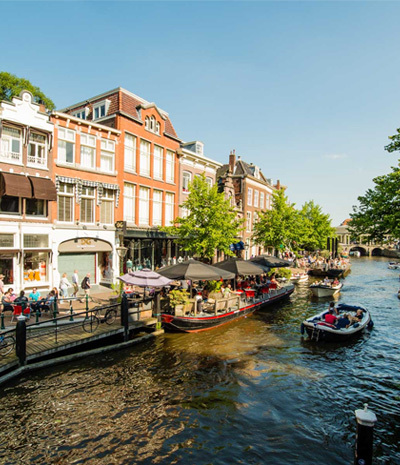 Part of the operations will also take place from Leiden, so the employees in Berlin are working in very close cooperating with the office in Leiden. You will mainly focused on touroperating and marketing and PR, all focussed on the German market. You will be supporting the team not only on marketing activities but also in touroperating aspects. You will probably also contribut to content management of the websites. Depending on your qualities and your interest you will also assist in social media, sustainability and communiation with DMCs. The Destination Management Company that focuses on Cuba is located in the central station of Amsterdam. The co-founder is Cuban and very passionate about his native country. The team has now grown into a multicultural mix of 8-10 Cuba specialists. During 6-10 months the exercises are aimed at various activities, process bookings, prepare invoices, customer communication / sales, travel proposals and make quotes within the Travelspirit system. Dutch knowledge of both the English and Dutch language is a must. In addition, it is nice if you have a basic knowledge of Spanish. German is an advantage. The function of this organization is particularly suitable for tourism students who want to do an internship in their fourth year. There is also the possibility to do a thesis within this company. The traineeship at Better Places will take place in Leiden. You work in a team of 8-10 people, most of them Dutch, but also some German speakers. Besides your colleagues of Better Places, you will also meet up with employees from Riksja Travel, because they are in the same building. Lunch is organised together for Riksja and Better Places employees. The work at Better Places can vary in terms of marketing, writing texts, contacts with DMCs and more.